Can the Certification Requirement of Section 877(a)(2)(C) be Satisfied “After the Fact”? Probably most “Accidental Americans” around the world do not and have not filed U.S. federal income tax returns during their lifetimes. A most important issue for these individuals who are considering renouncing their USC, is whether they can satisfy the statutory requirement (set out below) late; i.e., “after the fact” – if they have not previously filed tax returns? Can an “Accidental American” who has lived almost all of their lives outside the U.S., and who has never filed U.S. income tax returns satisfy the statutory language “. . . of the the requirements of this title [Title 26 – Federal Tax Laws] for the 5 preceding taxable years. . . “? Some interpret the statute to say that filing late income tax returns (e.g., in 2014 for the years 2009 through 2013/2014) should be permissible, provided the former USC indeed satisfies all of the requirements set forth in the law at some later point in time. (1) to file any return required under authority of subchapter A of chapter 61. . . on the date prescribed therefor (determined with regard to any extension of time for filing), unless it is shown that such failure is due to reasonable cause and not due to willful neglect, . . .
Will the IRS or Tax Division, Justice Department lawyers argue that any federal tax returns that are not timely filed under Section 7502, means that a former USC cannot have satisfy the statutory language of “. . . the requirements of this title [Title 26 – Federal Tax Laws] for the 5 preceding taxable years. . . “? 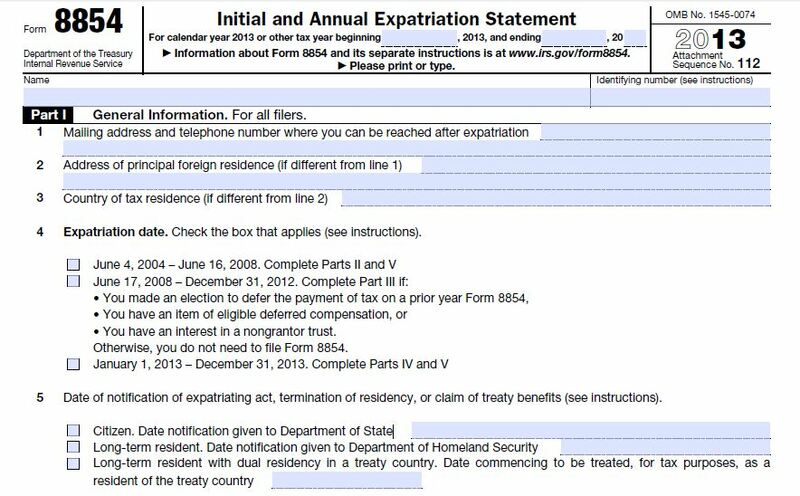 Obviously, the stakes can be very high for any such former U.S. citizen (or LPR), due to the consequences of being deemed a “covered expatriate.” See, Why “covered expat” (“covered expatriate”) status matters, even if you have no assets! The “Forever Taint”! Poll: When did you last file U.S. income tax returns or foreign bank account reports (FBARs)?